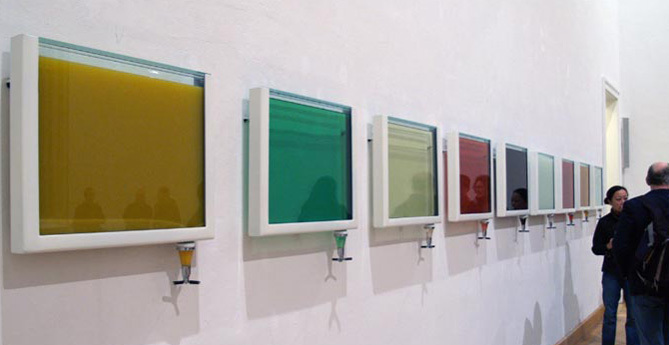 This installation in Dresden Germany by artist Hannes Broecker is brilliant, each wall frame is filled with a different adult beverage. 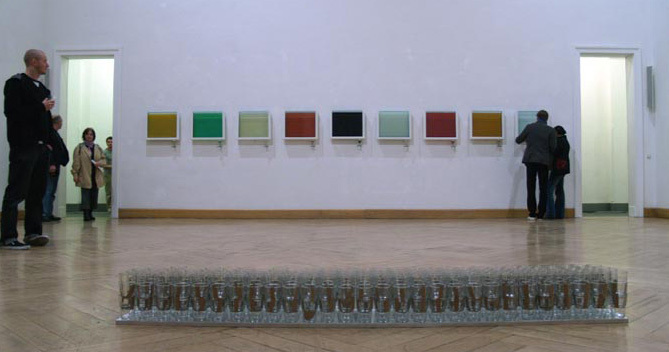 Stacked in the middle of the gallery are glasses, and the visitor walks up to the various artworks and fills their glass from a tap on the bottom. By the time the event is over, the frames are empty.